Ted’s final act of revenge on me! As I mentioned a couple of weeks ago, I have a pretty sweet first class Star Alliance award planned thanks to Aeroplan. The first part of that award is Tampa to Chicago, and fortunately it was scheduled to be a 757 with first class award availability. Awesome, no Ted! Well, today I checked my award, and whaddya know, my TPA-ORD flight shows as being a “32S,” more commonly known as Ted. No first class, so they just rebooked me in coach. Jeez, thanks for letting me know about the downgrade, United/Aeroplan! This is a substitution I don’t understand. At the very least I would have expected them to sub in an ex-Ted 320 with first class, given how quickly the Ted fleet is shrinking. 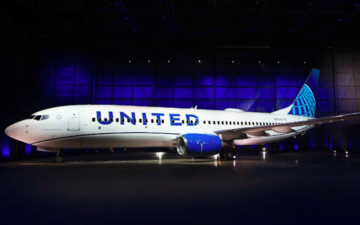 Get United to rebook me on the later TPA-ORD flight in coach, which leaves at 11:12AM. There’s currently no award inventory, but I’m sure they’d open it up in this case. This is kind of nice since I’d get to sleep in a bit, given that I’ll be connecting to Zurich, London, and Istanbul the same day. Book TPA-IAD on United on United in coach, and try to get on the new 767 in first class by requesting that they open up space (unlikely but possible). This would require a 6AM TPA-IAD flight, though. None of these options are ideal, especially considering how long of a day it’ll be and that I’d rather sleep in. Thoughts? Which option would you go with, or is there another option I’m overlooking? Does a delayed flight help or hurt your bump chances? TPA/ORD? Come on. We can all do that with our eyes closed. Man up and take one for the team. I agree with Dan – at some point, sleep has to take precendence over first class. It’s not like you haven’t flown first domestically 100s of times. It’s a few hours, given your status, you’ll get the seat you want (exit row? ), and you’ll appreicate that sweet TATL segment even more. @ ua_to_ord — That’s what I was leaning towards, but the layover is the longest for that routing. @ Dan & whakojacko — Haha, fair enough, and you know I’m a Ted warrior, but the thought of flying Ted and NOT earning miles just doesn’t sit well with me. @ Eric — Good point. It just comes down to maximizing the experience for me, though. It’s a fine flight, but I still have an eight hour layover at ORD, because the later flight leaves too short of a connection. I’ll post the schedules for the various potential routings shortly. Here are my options. Keep in mind my ORD-ZRH flight is at 7:15PM. In this case more sleep might just mean an extra connection, actually, since my current itin gives me a LONG layover at ORD. So the routing through CLT would actually allow for the most sleep. Since you have the time, I would fly up to DCA on US, hop on the Metro two stops to King St, dine at Taverna Cretekou (my favorite Greek restaurant), then fly to ORD on UA. I just love Old Town Alexandria. If not, I like the three-class option out of IAD or the n/s flight allowing you to sleep. If you were able to get into ORD early, maybe you could stop by 77 Wacker Dr for a special tour? EDIT: I see that you posted while I was typing. Even though the US option allows you to sleep later, I would still go with UA. You could *most likely* still get on the US flights (though perhaps not on F) with VDB credit if the UA n/s is oversold. I have just three letters to say: RAR!!!! Take the UA non-stop. Don’t add a connection and another chance for something to go wrong, messing with all of your downline flights which are the ones tha actually matter. It doesn’t give you very good backup options (there’s still an AA non-stop to Chicago you could be FIMed over to if something happened to your flight and there were open seats). But you still have a very long connection to handle any delays. 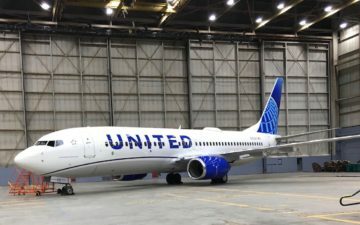 Why are the domestic connections to get to Chicago better than the later UA flight? Whilst DCA is a nice stop (nice in terms that I didn’t want to throttle anyone in my way… apart from the lack of US Airways check-in staff), you’re increase risk with every stopover. Now whilst you may think “rebooking”, that could we be with UA on a clapped out 777 over the pond. Compared to a Swissventure, I’d know what I’d choose. How about do TPA-ORD the night before? Enjoy an evening in the windy city (I highly recommend Gino’s East Deep Dish pizza… sooooo good!). Then you can have a proper lie-in the next morning, and you’ll have no weather or mis-conneciton concerns. I like the night before option, if it’s doable. My first thought was that the last TPA-ORD flight gets in (ever so slightly) before the LX departure, thus a > 24h connection meaning a stopover. But if I recall correctly your itinerary only currently has one stopover, and Air Canada permits two, so this would be fine. A night in Chicago isn’t the worst thing. However, I wouldn’t be especially confident of a non-Ted aircraft for a couple months’ hence at this point, or certain that your current Ted aircarft won’t revert to non-Ted. You could wind up with that switching ot another UA flight. Still, I’d take Ted (RAR!) over adding a connection. Why do you expect UA to open up space for an aeroplan point award? UA won’t change the ticket without talking to Aeroplan and I don’t belive you have included them in your list of eliteness. 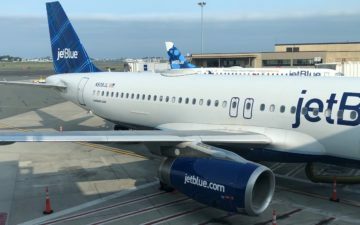 Take the later flight and go on the direct TPA-ORD so you can sleep longer; otherwise, schedule one of the flights with connections that you like so long as you allow several hours for a layover in Chicago. Sleep is for the weak. Take the DCA routing on US. When’s the last time you actually flew on US F? (It’s not that bad. I enjoyed my last experience, minus the plastic cups.) And, you get a nice long layover to go out and enjoy DC via cheap and easy metro access. Not sure why you think UA would open up space on the later flight. This is an AC award. ted? Economy? TPA-ORD? Oh the horrors! You really want to spend time on the phone arguing about that? Thanks for all the feedback, folks. 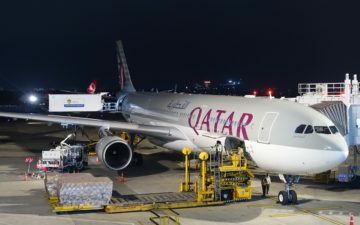 Some interesting points are raised, including potentially overnighting in ORD (although due to a commitment the day before that might not be possible). As for why they’d open up space on a later flight, that’s just what they do. Aeroplan has a schedule changes department, and they contact United. United, not Aeroplan, screwed me over here. I vote for the sleep, so you can better enjoy LX009! Just want to put in my two cents. I believe that any proposed change that is not simply Tampa-Chicago (some of your proposed changes include stopovers elsewhere) will result in a re-booking fee, which I believe is $90 with Aeroplan. Also, just curious as to why you are so eager to try out Turkish F? When I flew in C on Turkish from Frankfurt to Istanbul earlier this month it was awful. The seats were ratty, light fixtures above actually had scotch tape holding them together in some parts, the ash tray was missing the top, etc., etc. Not to mention that Turkish will not allow you to disembark in Istanbul unless you fill out some relatively lengthy form with passport details, travel details and where you’ve been (related to swine flu). Food looked disgusting. I refused my tray. @ Despina — You’re right, there usually is a fee, but not when the airline makes a change which I don’t approve of. The schedule changes department will work with me to get a more reasonable flight, whatever that might be, and I shouldn’t be charged. Don’t be so sure that you’ll be able to get on that UA flight that does not currently have award space open. Aeroplan certainly wasn’t able to get me on a flight that did not have open space after a schedule change left me without F all the way through. Maybe your 1K status will help if you were to call UA first – but barring that, don’t count on Aeroplan to back you up – expect to get a major run around. > even drive you to your hotel for free. UA offers the same service upon arrival if you piss in the rear kitchen.